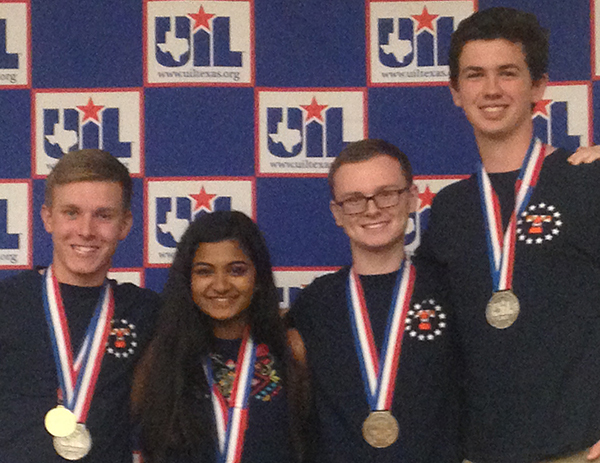 Texarkana, TX – Texas High School’s UIL Social Studies Academic Team earned Second Place during the Academic State Meet in Austin, TX. Team Members are: John Debenport, Tucker Douglass, Raga Justin and Jay Williamson. John Debenport and Raga Justin, also scored a Fourth Place and Ninth Place finish, respectively, in the state individual Social Studies competition. Students were coached by Chuck Zach.